The BRIDGES Youth Leadership Institute is a week-long, day camp that brings together OC youth from diverse backgrounds to participate in activities, dialogues and skill building exercises about human relations and social justice issues. Students learn the skills to organize youth, take a stand against hate and injustice and create schools and communities that are safe and equitable for ALL. 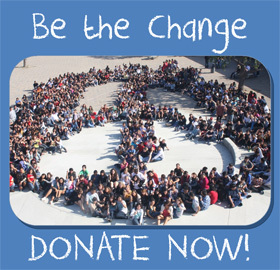 The camps are offered to Orange County high school students who have been active members in their school’s BRIDGES Program (or other Human Relations-type program) and who want to play a leadership role in the future. Camp graduates commit to work to empower new leaders and thereby improve the Human Relations Program at their schools.